Are you in the Christmas spirit? Well, make plans for the Do-It-Yourself Messiah in Chicago at Christmastime 2018, which takes place annually at the Harris Theater for Music and Dance (205 E. Randolph Drive near Michigan) on Monday, December 17, 2018 and Tuesday, December 18, 2018 at 7:00 p.m. (click at bottom for more info). The event brings together a world-class conductor and soloists, an all-volunteer orchestra, and thousands of audience members as the chorus. If you have never done this then DO IT THIS YEAR! 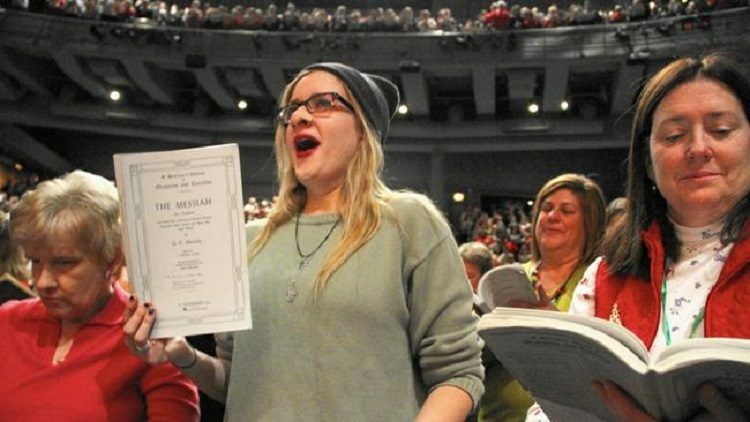 The Do-It-Yourself Messiah celebrates its 43rd year of a beloved Chicago holiday tradition. 1,500 amateur choristers—you, the public—join an orchestra and world-class conductor/soloists at each performance to sing Handel’s masterpiece under the direction of Maestro Stanley Sperber. Bring your score and come sing! Not suitable for children under 6. Please note that the Harris Theater for Music and Dance Box Office is the only authorized ticket seller for Do-It-Yourself Messiah. Tickets not purchased through the Harris Theater Box Office will not be honored for entrance in to the Theater. All tickets must be purchased through the Harris Theater Box Office. Celebrating its 43rd year, the Do-It-Yourself Messiah will take place on on Monday, December 17 and Tuesday, December 18, 2018 at 7:00 p.m. The performances will take place through the generosity of our sponsors: Wintrust Financial Corp., Performance Trust Companies, and an anonymous donor. 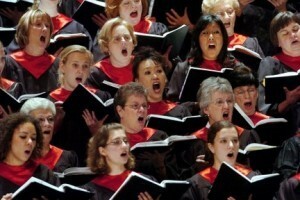 The music of Handel comes to life in Chicago every Christmas with his magnificent Messiah performed by a chorus of thousands, world-class soloists and a full orchestra of local professional and amateur volunteer musicians. Because of the length and nature of the event, it is not suitable for children under the age of 6. $15 tickets are now available at the Harris Theater box office, by phone at 312-334-7777, or on-line HERE. $15 tickets are available beginning at the Harris Theater box office, by phone at 312-334-7777, or on-line at www.harristheaterchicago.org.